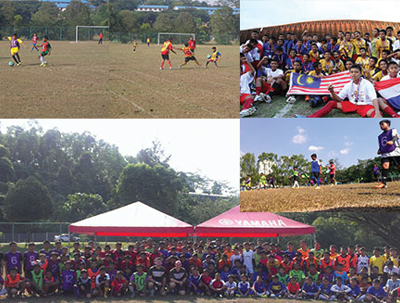 6th July 2013 – The Yamaha ASEAN Cup U-13 Football is a football tournament for youth under the ages of 13 years old involving teams from Malaysia, Thailand, Vietnam, Indonesia and India. 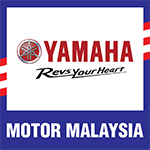 This tournament is initiated by Yamaha Motor Co., Japan where it is part of their efforts to contribute to youth development through sports. Particularly for this tournament, developing football skills of the players and teams by providing an opportunity for them to compete with teams from other countries. The aim of this event is to make it a tournament that will feed the dreams and ambitions of young players who wish to someday compete in competitions at a higher level as well as paving the way for youth to step toward the world stage. As host, Malaysia fielded two teams – Malaysia Yellow and Malaysia Blue competing with teams from Thailand, Vietnam, Indonesia and India where the tournament was held in Stadium PJ, Kelana Jaya from 13th to 15th July 2012. The defending champions Thailand came from behind to edge Malaysia Yellow 2-1 in the final and retain the title from the 4th edition of the Yamaha ASEAN Cup U-13 Football Tournament. Meanwhile, in the playoff for third place, Malaysia Blue edged Vietnam 1-0, Malaysia Blue won 3rd place. This year, the 5th Yamaha ASEAN Cup U-13 Football Tournament will be co-organized by Yamaha Motor Vietnam Co., Ltd. (YMVN) and will be held from 4th to 6th of October in Hanoi, Vietnam. In conjunction with this, HLYM is also making preparations to challenge for top honors for this year’s competition. With their continuous involvement as the title sponsor for the Liga 1MCC Hong Leong Yamaha 2013 Football League organized by 1 Malaysia Cardiff City Football Academy Sdn. Bhd, we can rest assured that there will be a vast pool of talents to tap on. The selection of the 5th Yamaha ASEAN Cup U-13 Football Tournament was held in University Malaya from the 6th-7th of July.Invitations and information were sent to teams and players from the Liga 1MCC as well as an open trail for players who are not associated with the Liga 1MCC. A total of 187 children turned up for the trails. Throughout the 2-day selection, qualified players came from as far as Johor as well as Melaka, Perak, Kedah and Klang Valley. 30 players were shortlisted based on their match temperament, football skills, tactical knowledge and awareness. After the festive seasons, a series of competitive friendly matches will be play and subsequently, the final 18 players will be selected to represent Team Malaysia. These players will then check in for a week of long training camp in Agro Bank, Bangi, educating them with game philosophy and behavior as a football player in preparation for the upcoming tournament.